Amazon AWS and Microsoft Azure are the prominent players in Cloud Computing arena and virtually the competition to these providers is negligible as it’s a monstrous task to build Cloud Computing environments. In order to compete with Amazon AWS and Microsoft Azure, a group of prominent companies formed a consortium to build open source Cloud Operating System, OpenStack, that lets anyone to build massively scalable cloud computing environments. In July 2010, Rackspace Hosting and NASA jointly launched OpenStack by merging code from NASA’s Nebula platform as well as Rackspace’s Cloud Files platform. Currently there are 150 companies part of this open source project and the big names that are actively contributing to the development of the project are – HP, DELL, AMD, Intel, IBM, Cisco, Red Hat, AT & T, Piston Cloud and off course RackSpace. OpenStack lets you build cloud computing environments with three components – Compute, Object Storage and Image Service. With OpenStack Compute you can build on demand Compute instances service similar to Amazon EC2. The Object Store component let you build Amazon S3 type storage system for storing static objects and Image Service provides discovery, registration, and delivery services for virtual disk images. In addition to these three component, two new components are being incubated and they are expected to part of OpenStack’s next release. OpenStack Identity project for providing unified authentication services and OpenStack Dashboard for administrators and users to access and provision cloud-based resources through a self-service portal. OpenStack brings lot of new opportunities to organizations, researches, students and service providers. Conventional organizations, especially banks and other financial institutions, who don’t like to leave their data with Amazon AWS, Microsoft Azure or any public cloud service provider can use OpenStack to build their own private cloud on premises. Researcher and students can build their cloud computing environments in the campus labs to support PhD or other research work. The other sector which is going to benefit from OpenStack is hosting providers. 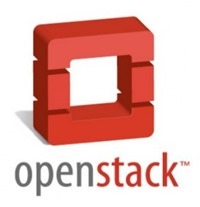 With OpenStack now every hosting provider can offer Cloud Computing services to their clients. HP, DELL and RackSpace are leading this with their cloud offerings powered by OpenStack. OpenStack has matured enough to be used in production systems and the big players who are already using it are – NASA, RackSpace, HP, DELL and AT & T. With loads of money being invested on this open source projects by 150+ companies and enthusiastic community support, the project is expected to lead a new revolution in the cloud computing space with in couple of years. One of the concerns for Software Architects while building applications for cloud is the technology lock-in. For example a .NET application built for Microsoft Azure services would not be compatible with Amazon AWS and vice versa. Also cloud applications designed for Microsoft Azure & Amazon AWS are not directly portable on premise environments. Basically applications designed for AWS & Azure are locked in with the provider and you need to spend good amount of re-engineering efforts to move them out. OpenStack is set to tackle this problem though its open source and free to use strategy. For example if a system is designed for RackSpace Cloud Computing, it’s easily portable to HP Cloud service, DELL Cloud Service as well any other service that runs on OpenStack. Also you can move the application to on premise by installing OpenStack on your servers. With OpenStack you’ll be in full control of your application, data and at anytime you can move them around with minimal efforts. OpenStack is not all that rosy. Needs to catch up a lot. So far you read the rosy picture of OpenStack – big players supporting it with loads of money, open source, free to use, no vendor lock in. The other side of the story is, cloud service provider like Amazon are far ahead in terms of features, scalability and performance. While Amazon AWS provides couple of dozens of services, OpenStack has less than 5 services at the moment. OpenStack is in its infancy but it’s quickly learning to crawl. « Wondering why babies cry all of a sudden! !